One survey says job numbers are up, and another one says job numbers are down. Which one is correct? That’s reason to celebrate, and many people—particularly Democratic partisans with an eye on the midterm elections—are doing just that. But the household survey, also released Friday morning, painted a grim picture. It showed the economy actually lost 73,000 jobs. 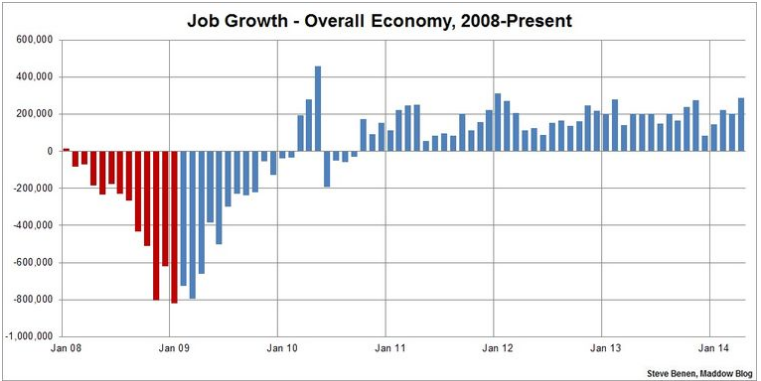 How can one survey say the economy added jobs, while another said jobs were lost? Well, because one of them is wrong, as David Leonhardt notes. They can’t both be true. And disturbing fundamentals still abound. The employment rate’s substantial drop from 6.7 percent in March to 6.3 percent in April was due entirely to people leaving the work force, according to the household survey. The overall labor force participation rate fell to its lowest point of the recovery. If those people were still looking for work, the unemployment rate would be a staggering 9.9 percent. 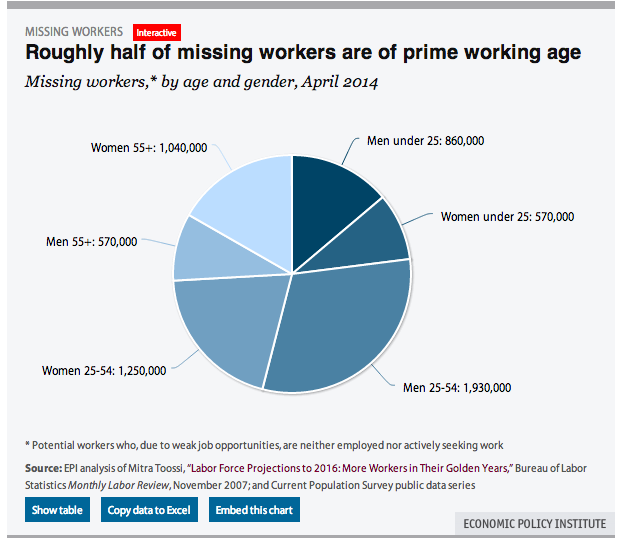 Again, some of those missing workers are rightfully retired, but millions are not. That people are giving up hope in large enough numbers to drive down the “official” unemployment rate isn’t good news. The economic outlook, simply put, remains cloudy at best and dark at worst.